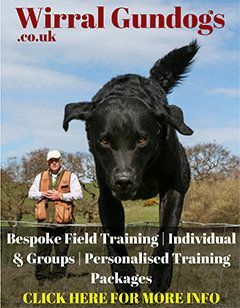 Gundog Gear were very pleased to sponsor the young handlers at this year's Chatsworth Country Fair. 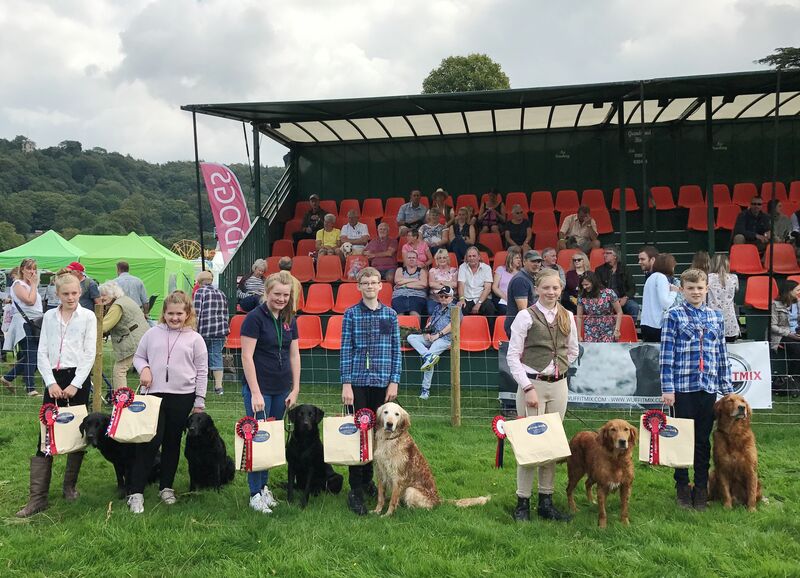 The young handlers from the Vale of York Working Retriever Club put on a great demonstration, and we were very happy to give them some goody bags! 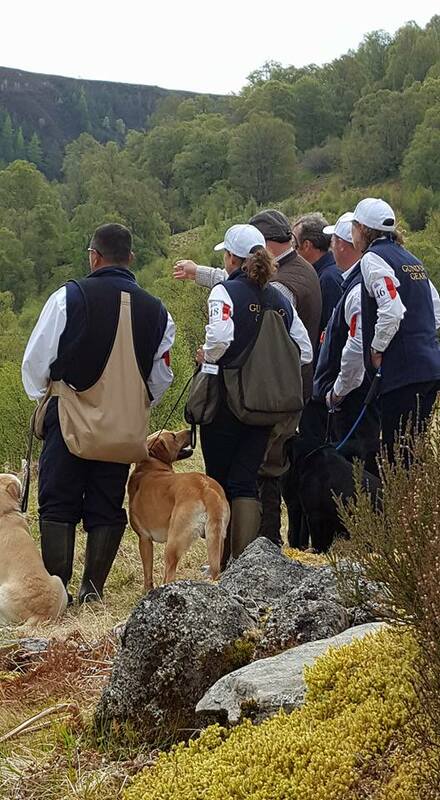 Gundog Gear are very proud to once again sponsor the England Retriever Team at this year's Skinners World Cup (see photograph on left). The team, Captained by Dave Latham, included Nathan Laffy, Lee Hartis, Nicola Reynolds and Annette Clark - massive congratulations to the whole team who finished second. To see coverage from the event Skinners 2017 World Cup on YouTube. Another wonderful weekend spent at the Windsor Charity Test with great company and good fun. The team (pictured below) went fabulously throughout the great tests laid out. Well done to the whole team; Lee Hartis, Mark Demaine, Allan Schofield, Andy Latham and Russ 'Legend' Hodgen. A massive thank you to all those who came along to Gundog Gear's first EURO CHALLENGE CHARITY DAY on May 31st, in aid of the children's charity Cheeky Monkeys Plus Two. We were lucky enough to have teams competing from as far afield as Ireland, taking part in six challenging tests over the course of the day. Finally, one member from each team was selected by the Captain to take on an extra challenging retrieve, which went towards the teams’ final scores. Ultimately, Team White (Captain Ian White, Judith White & Vicky Stanley running two dogs) were victorious, with the Irish Team (Captain Andrew Rooney, Peter Colville, Sean Diamond & Tom Lowry) coming second and Wirral Gundogs’ own Derek Amos (Captain), Myles Platt, Andy Smith and Elaine Chappell coming in a very respectable third! The accolade of Top Dog went to Ireland's own Tom Lowry after a run-off with Vickki Stanley from Team White. The day was rounded off by a charity auction, and due to the incredible generosity of all involved we managed to raise a total of £760.00 for Cheeky Monkeys Plus Two. Bob and Kath who run the charity were speechless – which isn’t an easy thing to achieve! This isn't a massive charity, and so this money means such a lot. It will be used to help pay for the upkeep of the charity's caravan, which is used by families of seriously ill and disabled children who want a break and otherwise wouldn’t get a holiday. We would like to extend our sincerest thanks to all those who took part, to those who helped out, including top dummy-chuckers Darren Favenger, Chris Chappell and Lee Price. Thank you also Lee for the great photos. 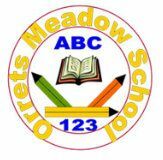 Massive thanks must also go to John Yarwood and Frank Morrey who gave up their time to come and judge for us along with our very own judge and auctioneer Gary McCarthy. We would also like to extend our special thanks to Ian White for his expertise in marquee errection (! ), and to Judith White, Elaine Chappell and Vikki Stanley for laying on such a fabulous lunch. We were so sorry to be missing top photographer Paul Joseph Baker from our day – Paul, we are so very sorry for your terribly sad loss, and we hope to see you clicking away at the field again soon… If we’ve left anyone out of the ‘thankyous’ we really are very sorry – and very very grateful! We now realise how much every Working Test Secretary has to contend with throughout the test season! Gary went to bed at 7.45 (albeit after finishing off Vikki Stanley’s red wine!!) We're already planning next year's extravaganza - so save up your pennies for a great cause and get a team together for next year's rematch! May 2015: England Victorious at 2015 Skinner's World Cup! 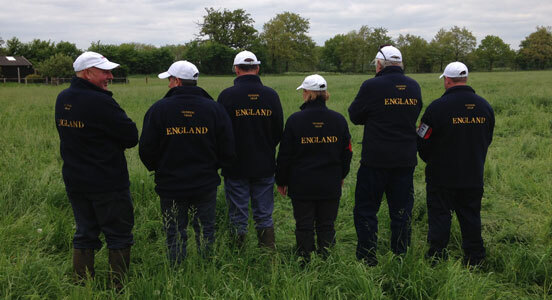 Gundog Gear was very proud to sponsor Dave Latham's victorious England Team at the prestigious Skinner's World Cup this May. The team, consisting of Andy Latham, Jayne Coley, Lee Hartis, Richard King and John Yarwood (Reserve) totalled a whopping 717 points to take top place, and Richard King also took the prize of Top Dog. We extend our warmest congratulations to them and also to Stefanie Latham, who came in second place with the Austrian team. Above right: arguably their best side......?! Our warmest congratulations go to Dave Latham upon winning the The Labrador Retriever Club's 2-day Open at Evesham, making Beilieys Aguzannis of Fendawood up to Field Trial Champion. Well done Dave - and "WHO'S A GOOD BOY THEN!" Beiley! 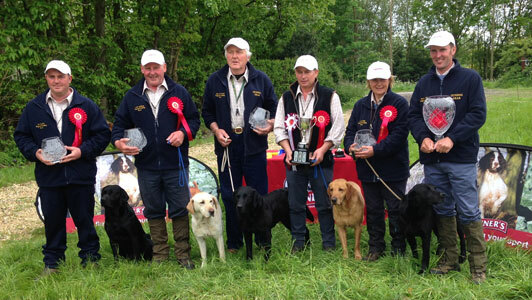 England Gundogs Triumph at CLA! 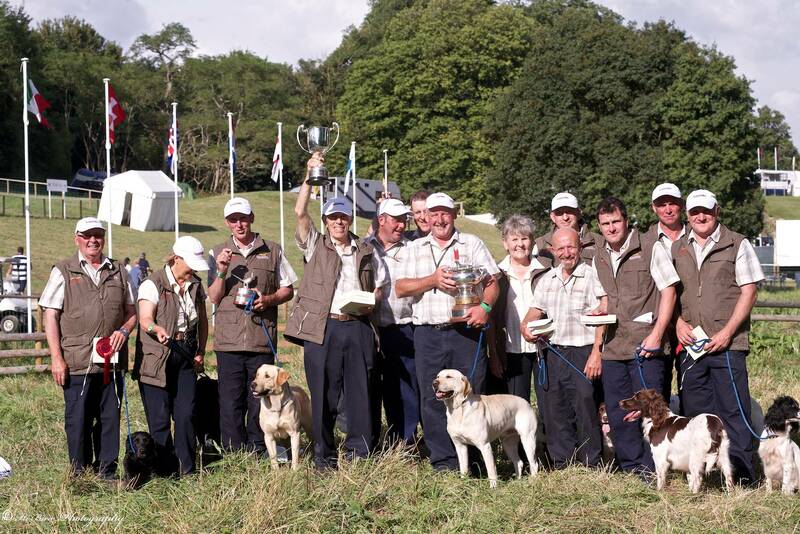 The England Gundog Team have triumphed yet again, this time winning the prestigious Home International Team competition at the CLA Gamefair (18th - 20th July). The victorious team members were (left-right) Russ Hodgen, Jayne Coley, David Latham, John Halstead (Captain), Lee Hartis, John Halsted Jnr, Andy Latham, Sandra Halstead, Adrian Slater (front), Simon Dixon, Paul Matthews, Brian Wade & Ian Clarke. 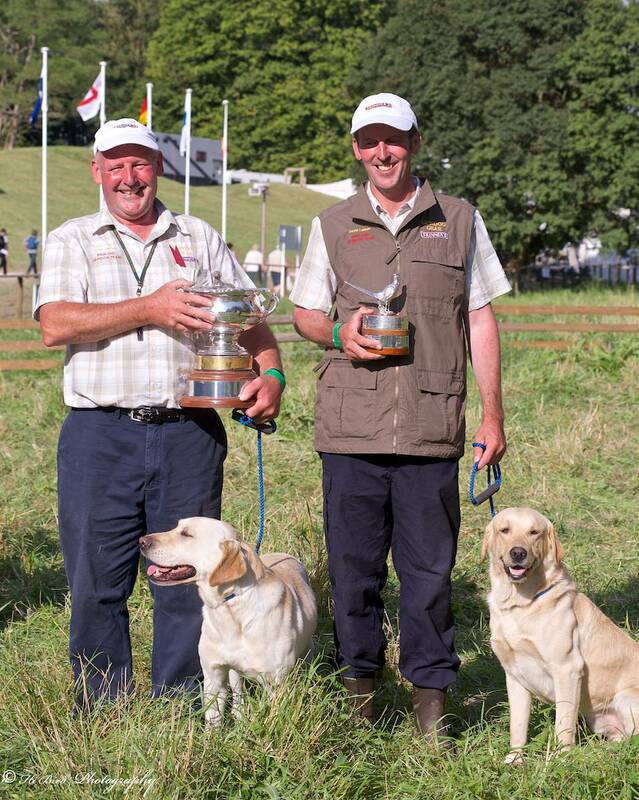 We are also thrilled that Andy Latham won the CLA Gundog of the Year with his dog FTCh Rimrock Hurricane (see left with brother Dave & Beileys Aguzannis of Fendawood) - congratulations Andy, it couldn't happen to a nicer guy! The CLA also marked the retirement of John Halstead Snr from the post of England Captain, and it was great to have the opportunity to thank both John and Sandra for all the incredible hard work they have put into the role over the last 15 years. The mantle of England Gundog Captain now passes to Ian Openshaw as Spaniel Captain, and our own Dave Latham as Retriever Captain. We would like to wish both Captains the very best of luck and we look forward to continuing our work with the England Team in the years to come. May 2014: Congratulations to the Victorious England Team! 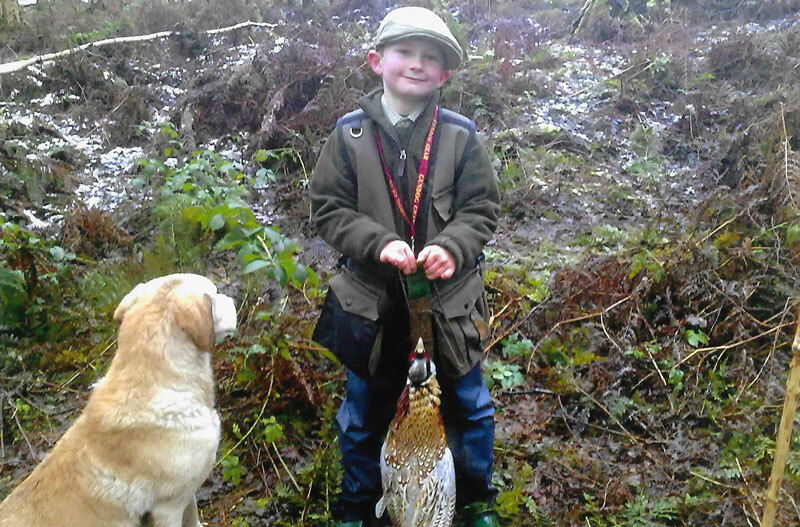 Gundog Gear purchases along with the proceeds of his first Christmas shoot with Grandad! 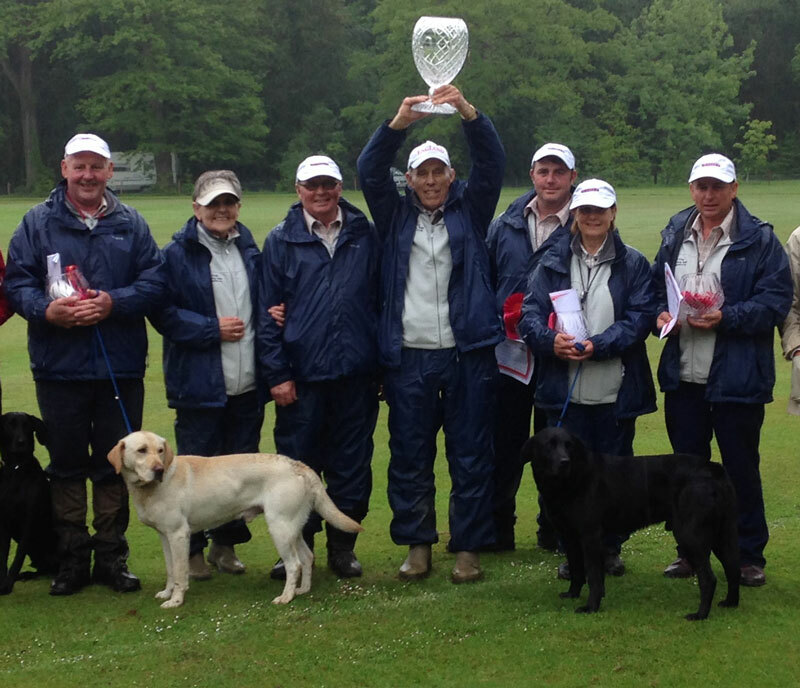 The England Gundog Team enjoyed a resounding victory at the Skinners International Retriever World Cup at Highclere last weekend (May 25 & 26). We would like to offer our warmest congratulations to the whole team (L-R) Andy Latham, Sandra Halstead, Russ Hodgen, John Halstead, Lee Hartis, Jayne Coley & Richard King. 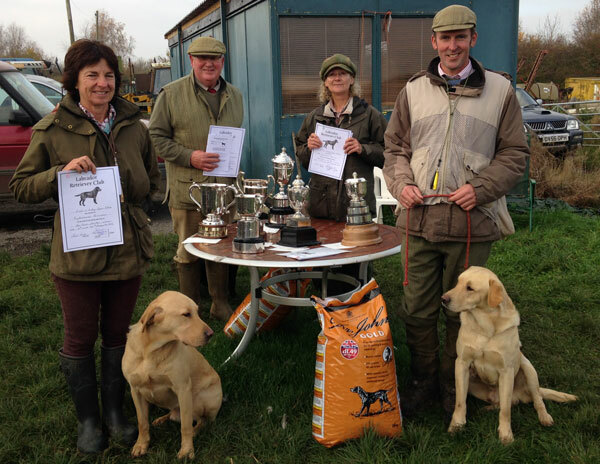 December 2013: Sporting Gun Gives Jack Pyke Dog Vest Top Marks! 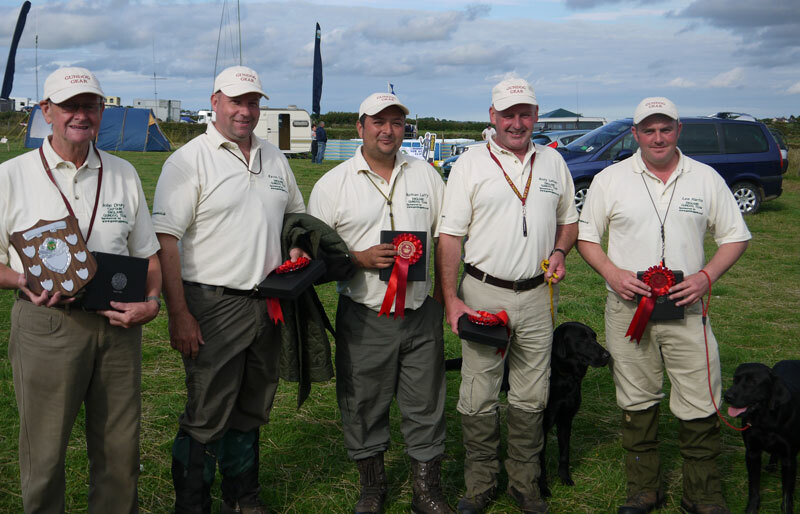 Congratulations to the victorious England Gundog Team, captained by John Drury, at the Anglesey show (13th-14th August 2013). 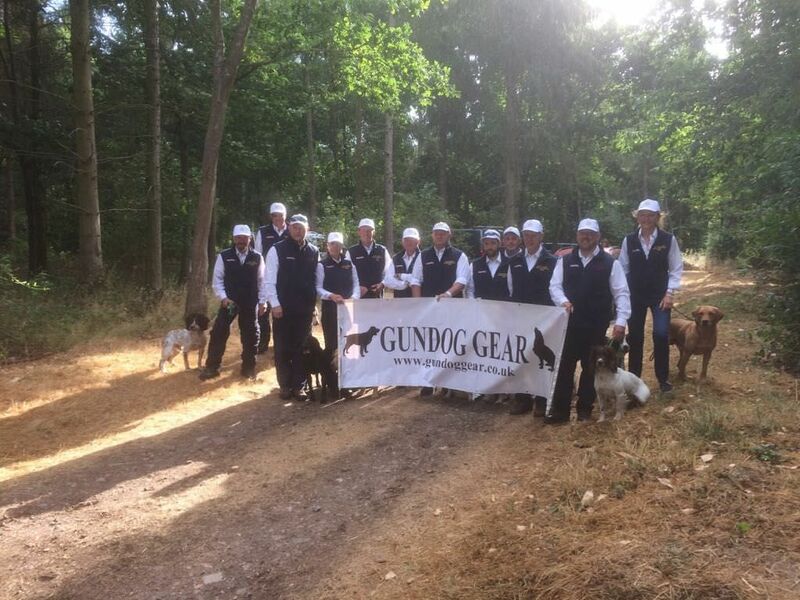 Gundog Gear were very proud to sponsor them. The team were (L-R) Captain John Drury, Kevin Carty, Nathan Laffy, Andy Latham & Lee Hartis. 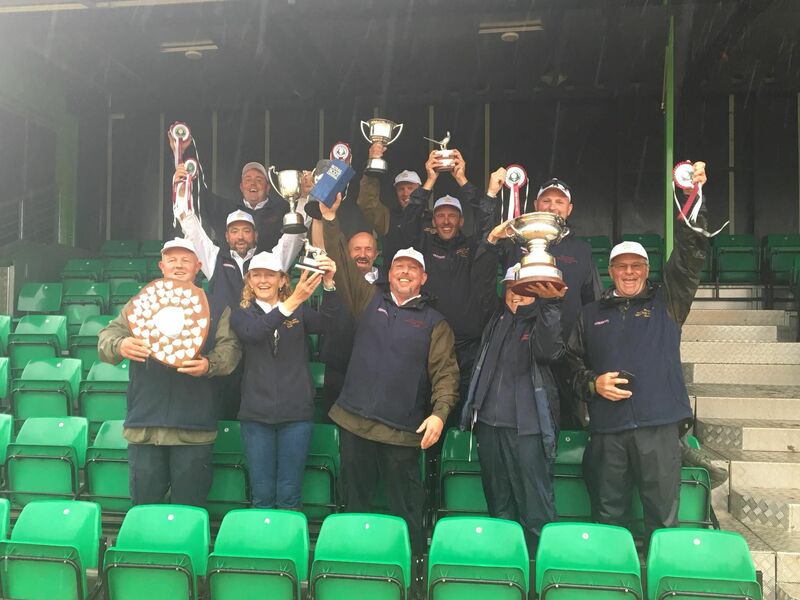 Gundog Gear, sponsors of the England Gundog Team, would like to congratulate the Retriever Team, captained by Mr. John Halstead, on their win at the CLA Gamefair last weekend. 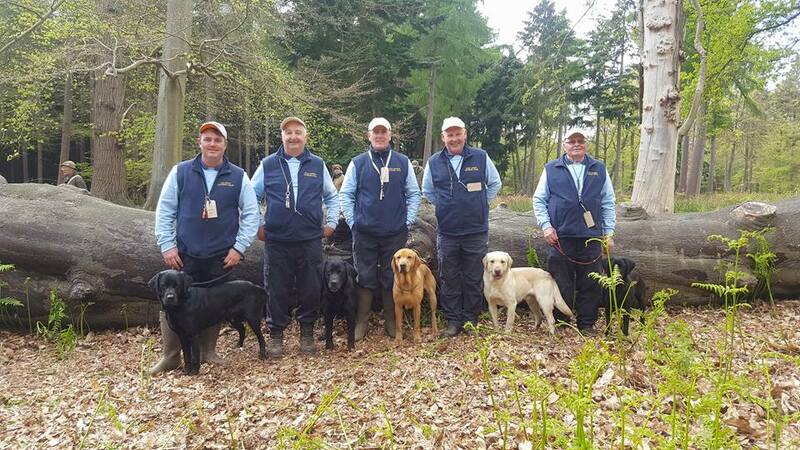 The retriever team all sported Gundog Gear's logo on their Jack Pyke training vests. 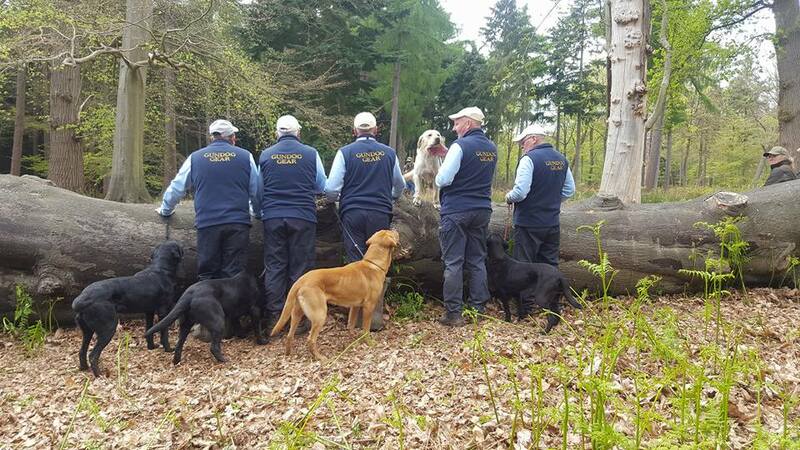 The team members were: John Halstead, Sandra Halstead, Jayne Coley, Brendan Kelly, Lee Hartis, John Halsted, David Latham, Laura Hill, Ben Randall, Alex Badger, Garry Smith, Steve Wanstall, Simon Dixon & Alice Wise - congratulations from all at Gundog Gear!